Calligraphy class: In Ginza Shoin you search who you are through practice of calligraphy and study of the history of calligraphy. We hope you achieve to have you own characters and your own philosophy in Ginza　Shoin. We instructors hope all students enjoy and creating art in Ginza Shoin. 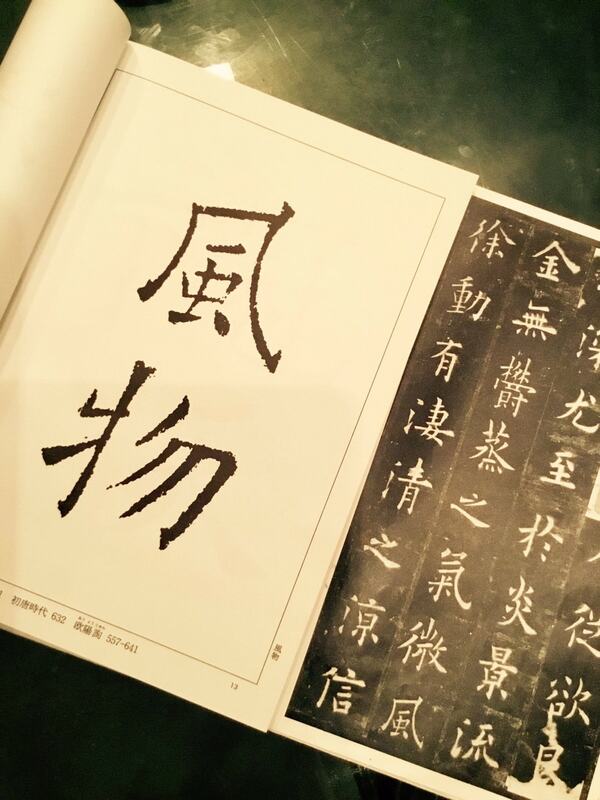 We are pleased to advice you how to begin calligraphy with our unique textbook which is composed from Chinese and Japanese historical masterpieces. In the school we always respect your artistic philosophy and help your visual expression and artistic achievement. Please ask us any questions about calligraphy! “Review the old and then know the new.” In this concept, you will practice to copy repeatedly classical Chinese letters; Kai-sho, Gyo-sho, Sou-sho, Ten-sho, Rei-sho, and Kana. In doing so, you will be able to realize deeply the historical background of sho, the birth of sho, and the mystery of sho (you will be required to complete this course before you take creative course, ink painting course, or seal course). Face yourself and be free. 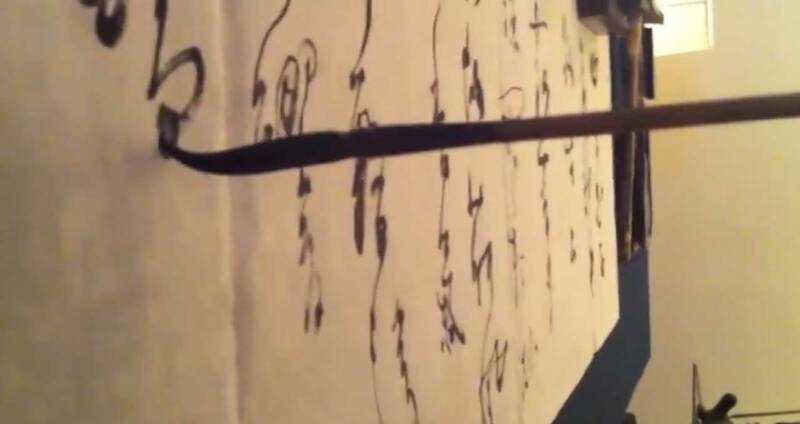 This is the essence of calligraphy. We will guide you step by step to understand this fundamental idea of sho. Today various styles are available in Sho-do world. Such as art Sho-do, ink Art, performing Sho-do. Even though they look like contemporary style, they are always to relate to classical style. The world of calligraphy is funded in a mono chrome world. This is a very spiritual world far from our surroundings controlled of various colors. Even though Chinese ink is based on monotone, this ink has five tones (colors) quality. In Tarohei Sho-ga-in ink painting class, you are able to challenge various subjects, such as Shan shui, bird and flower painting, landscape, portrait etc.. Even though the world of seal is in a small space, it represents an infinitive space. In Tarohei Sho-ga-in seal course, you will learn the most “mobile” art work, stone seal. It’s available to take this course with your Sho-do or ink painting courses. In this course, you learn and practice by using seal art textbook. Be calm and be concentrate on yourself. Then it is possible to learn Buddhism painting. In the class, to beyond differences between us you look into your mind to create deep, spiritual, and sublime painting. We are proud of Tarohei Shoga-in’s textbook. Many various historical masterpieces of sho are picked up for this textbook. In this course you will practice to copy many classical Chinese letters; Kai-sho, Gyo-sho, Sou-sho, Ten-sho, Rei-sho, and Kana based on Tarohei Shoga-in textbook. To Complete this course, you will be required 12 times examinations. And your achievement will be checked each time and you will be handed guidance books for the examinations depends on your progress. ●　The examination is based on Tarohei Shoga-in textbook. ●　You should concentrate and focus for your grading up through taking examinations. ●　Usually you will begin to take from lowest level (sixth kyu) to highest grade (sixth dan). ●　You will complete calligraphy instructor course in around 2 years if you keep taking classes 4 times in a month. ●　The examination’s fee is free. We always welcome you to Art School Ginza. We explain and show you how much our school is nice to you. Please visit Art School Ginza! Please e-mail us anytime. We will make a reservation for you. Thank you. ※English-speaking staff available on Wednesday and Thursday.